I have been looking for a green eyeliner that isn't too bright, isn't too dark but has a little shine to it. I was lead to Make Up For Ever. If you don't already know, this brand of make up is fantastic. 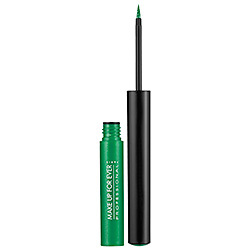 This eyeliner comes in 15 colors and claims to be waterproof, tear proof and sweat proof. I want to let you know, it's all of those things. My eyelids tend to get a little oily throughout the day and if I don't wear an eyeshadow primer, my shadow and liner tend to crease and disappear. 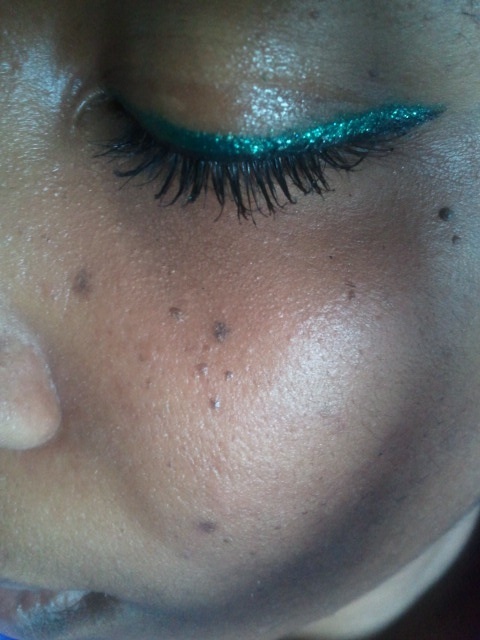 I put this liner on at 11:30 this morning and it stayed put until I was ready to take it off. The applicator has a foam tip and is fine for precision line drawing. You can make your line as thick or as thin as you would like. It dries relatively quickly but it shines all day as if you just applied it.